The Texas A&M Beef Cattle Short Course has a rich history, originating from deep within the Department of Animal Science at Texas A&M University. Dating back to 1942, Professor John K. Riggs started the first Beef Cattle Short Course to discuss the results of beef cattle research. Today, over 1,700 participants from all over attend annually, making it the largest attended beef cattle educational program in the world. This three-day event is designed for everyone, from the newest member of the beef industry to the most experienced producers and enthusiasts. With over 20 sessions of educational seminars, workshops and hands-on demonstrations, the nation’s leading cattle experts will provide ranchers with information they can use in their operations. From new technologies to business practices to fence building, the more these ranchers learn, the better we eat. Topics will include animal health, nutrition, reproduction, breeding, genetics, selection, research, marketing and handling. 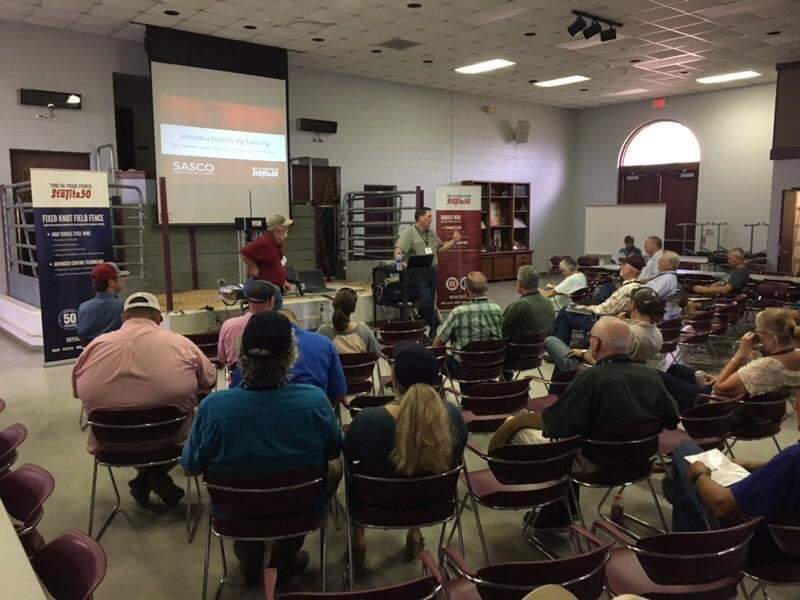 The 2018 Beef Cattle Short Course will also feature a session on the history of the famed King Ranch, as well as a large trade show with more than 150 agriculture-related businesses and exhibitors. Join us August 6-8, 2018 for the 64th annual Beef Cattle Short Course, hosted by Texas A&M AgriLife Extension Service and the Department of Animal Science at Texas A&M University. We will host a fence installation demonstration and feature our fixed-knot fence and barbed wire products at our booth. Be sure to stop by and say hello! For more information about the 2018 Beef Cattle Short Course, click here.